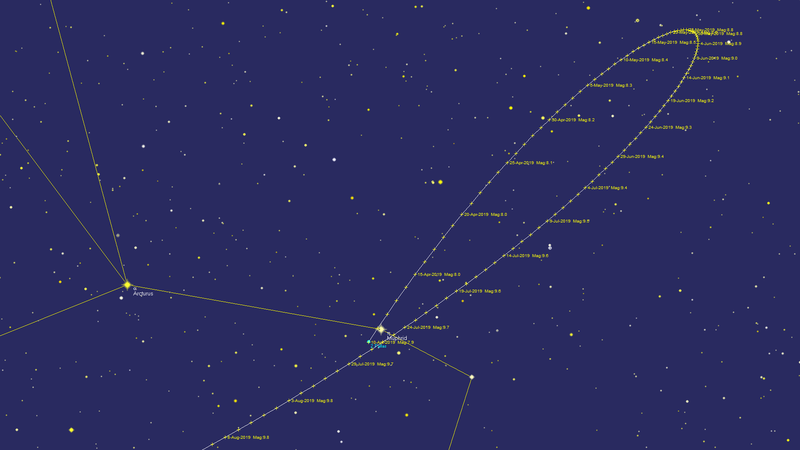 There may be a dearth of major planets in the night sky at the moment – Mars is now getting lost in the evening twilight over in the west, and Jupiter doesn’t rise until the early hours of the morning – but there’s a minor planet around that is well worth a look. The second minor planet (aka asteroid) to be discovered is Pallas, which wasn’t noticed until 1802. There’s a good reason why astronomers overlooked it until then – it’s well below naked-eye visibility, so it’s just a tiny speck among thousands of others. That usually makes it tricky to spot, but right now it is comparatively easy to find when it gets fully dark after about 10 pm. You’ll need good binoculars and a fairly dark sky to see it, although even from town skies a reasonable telescope will show it, if you know where to look. Start by looking virtually overhead for the Plough, that familiar shape of seven stars depicted on many a pub sign and indeed on the society’s logo. Follow the handle of the Plough around towards the eastern horizon and you’ll come to a bright star, the only one in that part of the sky. 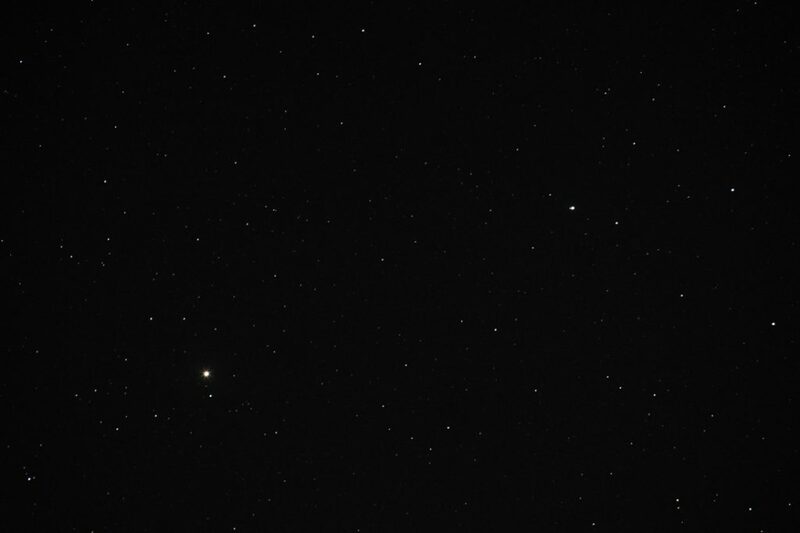 This is Arcturus, one of the brightest stars in the sky, in the otherwise rather boring kite-shaped constellation of Boötes. It has a noticeably golden colour, as it’s yellower than our own Sun. Here’s a chart to help you find Arcturus. 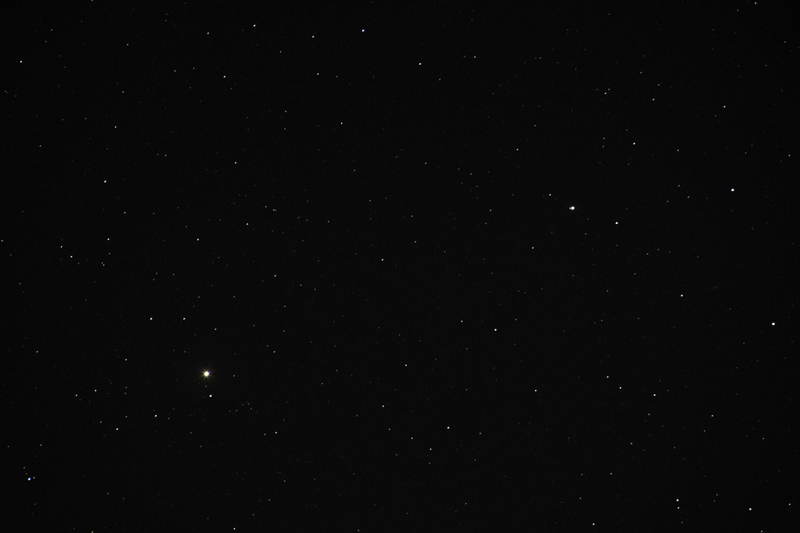 Next to Arcturus is a fainter star, Muphrid (Eta Boötis). If Boötes is a kite, Muphrid marks the tail on the kite. 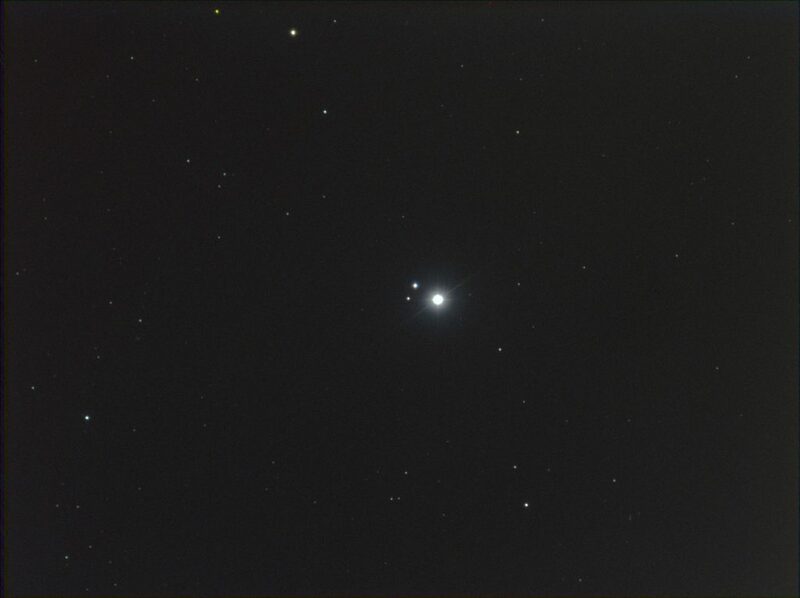 This is the star to look for, as Pallas is right next to it at the moment. 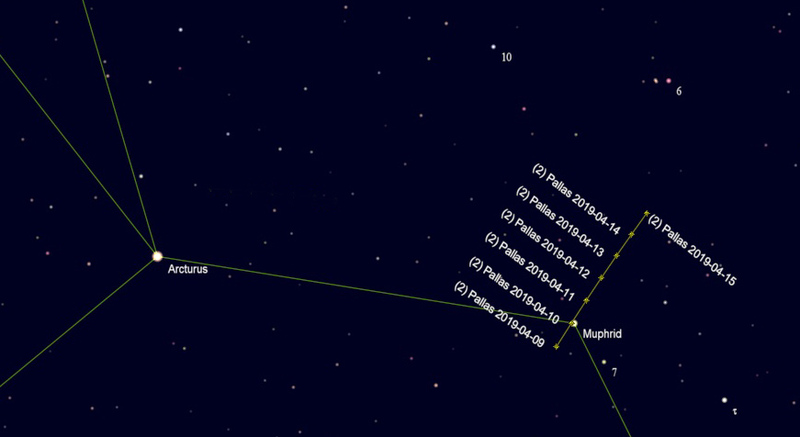 During the second week in April it moves slowly night by night, so use the chart below to pick out which one is Pallas. It is magnitude 8, which means that it’s quite a faint star as seen in ordinary binoculars. Look again on another night and you’ll see that it has shifted a little. Our chart shows its positions at 10 pm BST each night from 9 to 15 April. If you have a decent camera which will give time exposures, try photographing this part of the sky with a telephoto lens setting and an exposure time of a few seconds at about ISO 800. Pallas should show up quite easily. If you use a longer exposure time, even in a dark sky, the stars will start to trail the Earth turns, but there’s a happy medium of exposure time and ISO which should catch it well. Paul Sutherland did this on 10 April (see below) and was surprised at first to see no sign of Pallas. But on closer inspection it’s immediately to the left of Muphrid, just visible on this version. 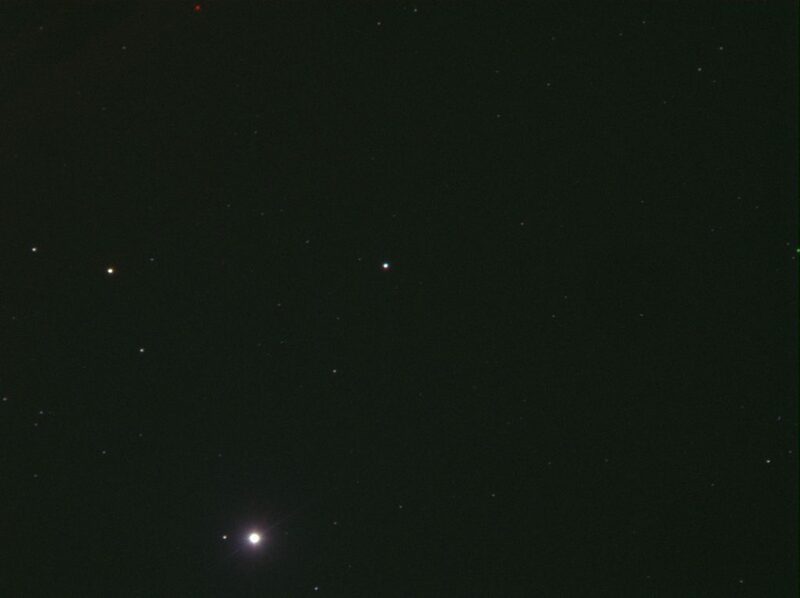 Arcturus is the bright star at lower left and Muphrid is the less bright star at upper right. A closer view was taken by Robin Scagell on the same occasion using an 80 mm telescope of 600 mm focal length. He used an Atik 314L+ CCD camera and several exposures through red, green and blue filters. 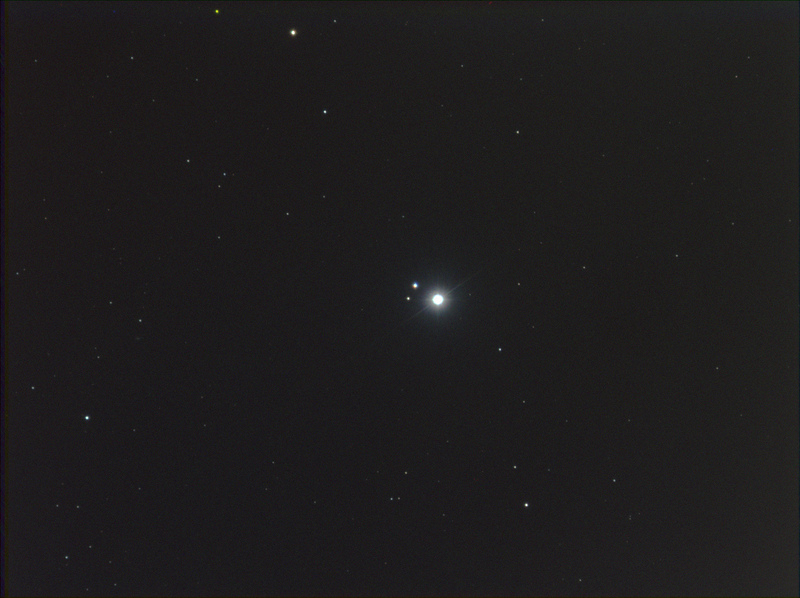 The slight movement of Pallas between the red and blue exposures has given it slight colour fringing. Close-up of Muphrid and Pallas by Robin Scagell. Pallas is the brighter of the two companions to Muphrid, at approximately 10 o’clock. The other star is 9th magnitude. Click to enlarge. The next night, Pallas had moved out of the original field of view, so in the photo below, Muphrid is now down near the bottom of the image. If you missed catching Pallas next to Muphrid, you will get another chance. As a curious result of solar-system orbits, Pallas will again be close to Muphrid in July. This is because like most planets and minor planets in the solar system, it is in a retrograde loop. This is a result of the fact the Earth’s faster motion in an inner orbit, which makes Pallas appear to move backwards compared with its actual eastward movement around the Sun when it is closest to Earth. 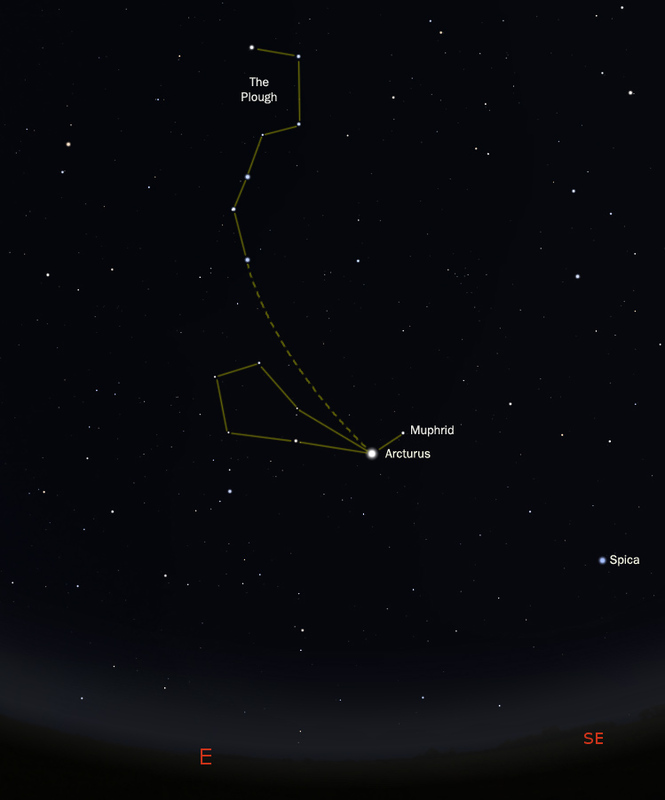 You can use the map below to track Pallas through the sky. However, it becomes much fainter as it gets more distant. By the end of July it will be magnitude 9.7, which is over five times fainter than in April. It will then require a telescope to see it easily.